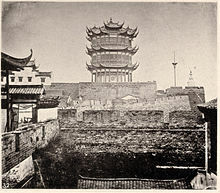 The name "Wuhan" is a portmanteau of the two major cities on the northern and southern banks of the Yangtze River that make up the Wuhan metropolis: "Wu" refers to the city of Wuchang (Chinese: 武昌), which lies on the southern bank of the Yangtze, while "Han" refers to the city of Hankou (Chinese: 汉口), which lies on the northern bank of the Yangtze. 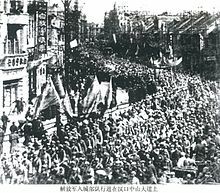 In 1926, the Northern Expedition reached the Wuhan area and it was decided to merge Hankou, Wuchang and Hanyang into one city in order to make a new capital for Nationalist China. 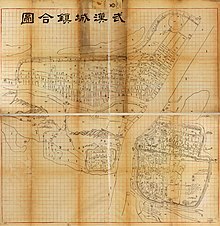 On January 1, 1927, the resulting city was proclaimed as '武漢' (the traditional Chinese characters for 'Wuhan'), which was later simplified as '武汉' (also 'Wuhan'). 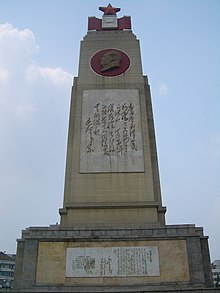 ^ a b c d 武汉市历史沿革 (in Chinese). www.xzqh.org (行政区划网站). August 6, 2014. Retrieved February 10, 2018. ^ a b c 行政建置 (in Chinese). Wuhan Municipal People's Government (武汉市人民政府门户网站). January 8, 2018. Retrieved October 17, 2018. ^ a b 北京奥运会火炬境内传递城市 (Beijing Olympic torch relay city within the city). blog.sina.com.cn. March 26, 2008. ^ "Illuminating China's Provinces, Municipalities and Autonomous Regions". PRC Central Government Official Website. Retrieved February 19, 2018. ^ Zhao Manfeng (赵满丰). 国家中心城市 [National central cities]. usa.chinadaily.com.cn. Retrieved May 20, 2018. ^ Stephen R. MacKinnon (May 21, 2008). 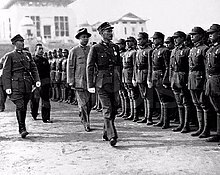 Wuhan, 1938: War, Refugees, and the Making of Modern China. University of California Press. p. 12. ISBN 978-0520254459. ^ "7th Military World Games to be held in Wuhan in 2019 - Xinhua | English.news.cn". www.xinhuanet.com. Retrieved May 20, 2018. ^ Kathleen L Lodwick (2009). The Chinese Recorder. BiblioBazaar, LLC. p. 414. ISBN 978-1-115-48856-3. Retrieved June 28, 2010. ^ Anon (2009). Northern China, the Valley of the Blue River, Korea. 43 Maps and Plans. READ BOOKS. p. 386. ISBN 978-1-4446-7840-6. Retrieved June 28, 2010. ^ Fang Wang (April 14, 2016). Geo-Architecture and Landscape in China's Geographic and Historic Context: Volume 1 Geo-Architecture Wandering in the Landscape. Springer. pp. 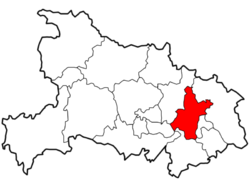 43–. ISBN 978-981-10-0483-4. ^ a b c Zhang, Liang (2001). Nathan, Andrew; Link, Perry (eds.). The Tiananmen Papers. Public Affairs. ISBN 978-1-58648-122-3. 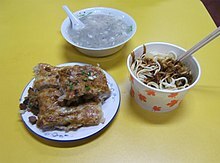 ^ 祸从天降：汉江边4人被武汉坠毁飞机扫入江中 (in Chinese). Sina. June 22, 2000. Retrieved January 14, 2009. ^ Geoghegan, Tom (April 28, 2005). "How planes survive lightning". BBC News Magazine. BBC News. Retrieved January 14, 2009. ^ "Fatal Events Since 1970 for Airlines of the People's Republic of China". AirSafe.com. December 10, 2007. Retrieved January 14, 2009. ^ "'Father' of China's Great Firewall Shouted Off Own Microblog – China Real Time Report – WSJ". Wall Street Journal. December 20, 2010. Retrieved December 25, 2010. ^ "China's Great Firewall designer 'hit by shoe". BBC. May 19, 2011. Retrieved May 19, 2011. 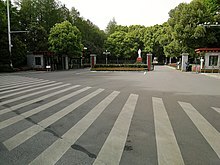 ^ GFW之父武汉大学演讲遭遇学生扔鞋抗议 (in Chinese). RTI. May 19, 2011. Retrieved May 19, 2011. ^ "Designer of Chinese web controls hit by shoe". Associated Press. May 19, 2011. Archived from the original on May 24, 2011. Retrieved May 19, 2011. ^ "Chinese Student Takes Aim, Literally, at Internet Regulator". NY Times. May 19, 2011. Retrieved May 20, 2011. ^ "Shoe attack on China web censor sparks online buzz(AFP)". AFP. May 19, 2011. Retrieved January 11, 2012. ^ Reuters Alertnet (February 6, 2008). "CWS appeal: China winter storm response". Reuters Alertnet. 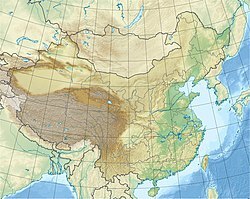 ^ "Heat wave sweeps parts of China - China News". SINA English. Archived from the original on July 7, 2010. Retrieved July 28, 2010. ^ Associated Press, Guardian (July 28, 2010). 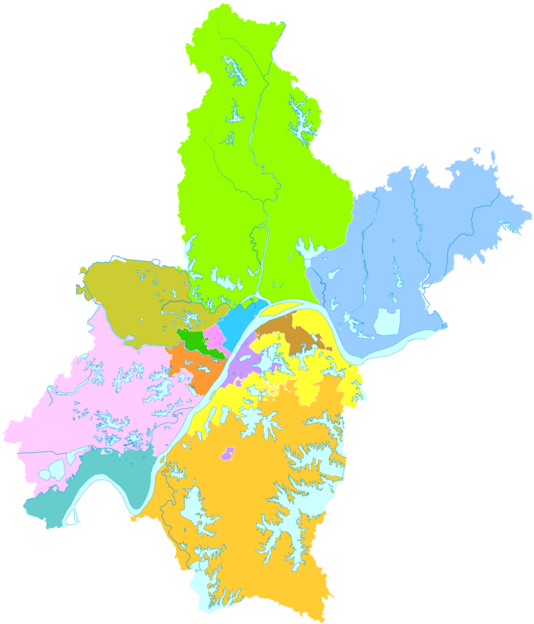 "China's Three Gorges dam close to limit as heavy rains persist". guardian.co.uk. Retrieved August 6, 2010. ^ "8 dead after rain topples wall in C. China- China.org.cn". China Internet Information Center. Retrieved July 8, 2016. ^ Li, Jing; Lau, Mimi (July 7, 2016). "Super typhoon Nepartak threatens further flood misery in mainland China". South China Morning Post. Retrieved July 8, 2016. ^ 为什么重庆、武汉、南京有“三大火炉”之称？ (in Chinese). Guangzhou Popular Science News Net (广州科普资讯网). September 12, 2007. Archived from the original on November 12, 2014. Retrieved November 12, 2014. ^ 中国夏季“火炉”城市重新洗牌 武汉南京退出前四-新华网. www.xinhuanet.com (in Chinese). Retrieved May 20, 2018. ^ 武汉退出全国三大“火炉”行列 “新四大火炉”出炉. hb.sina.com.cn (in Chinese). Retrieved May 20, 2018. ^ 武汉城市介绍以及气候背景分析. Weather China (in Chinese). Retrieved May 20, 2018. ^ 中国气象数据网 - WeatherBk Data. 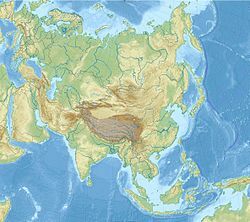 China Meteorological Administration. Retrieved November 9, 2018. 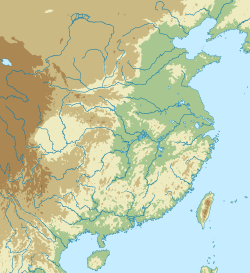 ^ "Wuhan (China) - Britannica Online Encyclopedia". Britannica.com. Retrieved January 25, 2017. ^ a b 丁燕飞. 武汉市去年净流入人口突破230万人_荆楚网. 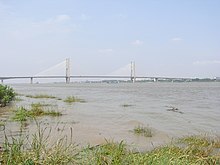 news.cnhubei.com. Retrieved March 6, 2016. ^ 铁道部规划建设北京上海广州武汉四大铁路枢纽. Sina News. March 18, 2005. 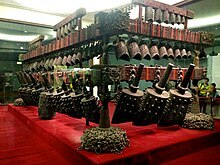 ^ 火车轮渡守候47年的人文景观. Archived from the original on April 25, 2013. Retrieved January 17, 2013. ^ 1995年4月15日武汉天河机场投入营运. 荆楚网. April 17, 2008. Retrieved June 30, 2011. ^ 武汉首个通用航空机场建成启用. www.wuhan.gov.cn. Retrieved November 4, 2017. ^ 武汉开建第二座通用机场 预计2018年底竣工. finance.sina.com.cn. Retrieved December 2, 2017. ^ 中国掀起共享单车热潮 - FT中文网 [China’s bike-sharing boom in charts]. www.ftchinese.com. Retrieved July 5, 2017. ^ Marden, Duane. 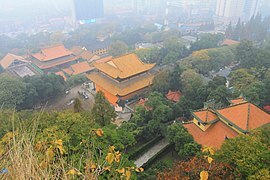 "Happy Valley (Wuhan, Hubei, China)". 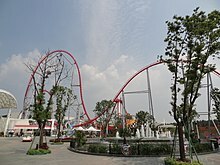 Roller Coaster DataBase. Retrieved November 17, 2012. 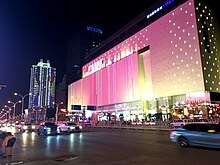 ^ "WUHAN greenland center". greenlandsc.com. 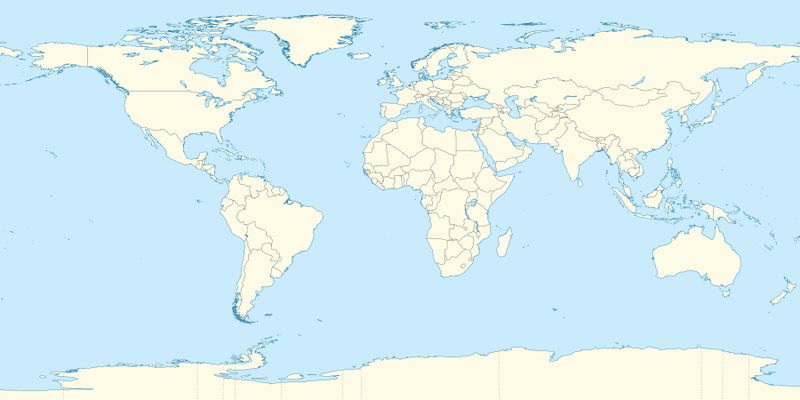 Greenland Group. Retrieved January 17, 2016. 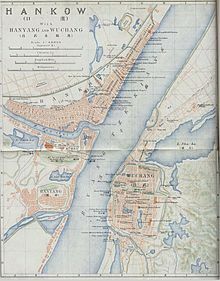 ^ 武汉国际友好城市一览表(List of sister cities of Wuhan). 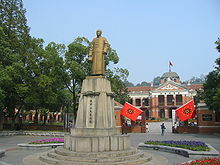 www.whfao.gov.cn（Foreign Affairs Office of Wuhan Municipal Government）. Archived from the original on April 13, 2018. Retrieved September 7, 2018. ^ "Bordeaux, ouverte sur l'Europe et sur le monde". Archived from the original on March 16, 2015. Retrieved September 1, 2015. 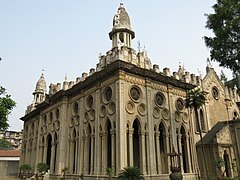 ^ "Wuhan, China : Christchurch City Council". Christchurch City Council. Retrieved September 1, 2015. A Friendship City Agreement was signed between the Mayors of Wuhan and Christchurch on Tuesday 4 April 2006.